A nice warm khichadi is always a nice cooling break once in a while. 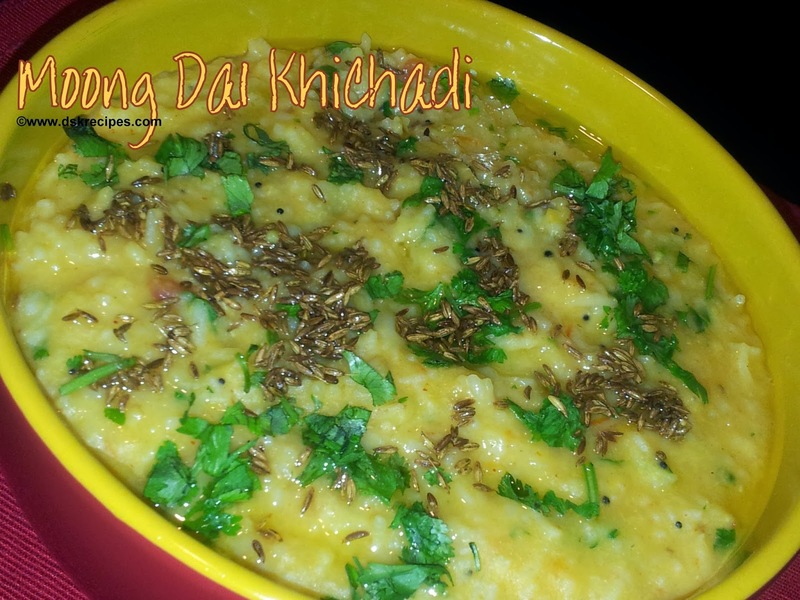 Khichadi is a combination of rice and lentils/daals. Every family has its own version of cooking khichadi. Khichadi is accompanied by fried or roasted papad, pickle/achar. 1. Wash dal and rice and soak for 15 minutes. 2. Heat ghee in a pressure cooker. Add mustard seeds and hing. 3. Add dal and rice together. Add pinch of turmeric powder. 4. Add water and pressure cook the khichadi upto 3 whistles or well done. 5. Let the pressure cooker cool down. 6. In a deep pan heat 1/2 tbsp of ghee. Add garlic paste, green chilli paste, cumin powder and saute for a minute. 7. Add the khichadi to the tadka. Add some water and mix well. 8. Add salt and cover the pan and let it cook for 5 mins. 9. Once done pour the khichadi in the serving bowl. 10. For tadka : Heat 1 tbsp ghee in a small pan. Add cumins seeds and let it spliter. Pour the tadka on the khichadi and garnish with chopped corriender leaves.